I grew up in a Christian home and asked Jesus into my heart at an early age of 6. At that time I made the decision to ask Jesus into my heart because I did not want to go to Hell. I did not understand what it really meant to be a Christian and have a relationship with Christ. I went through the motions of going to church and praying. It wasn't until I got to college and played football that I was hit with lot of temptation. I struggled a lot with drinking and always wanting to get drunk to make me feel better about myself. I was not a strong Christian so I struggled and fell into this temptation. There would be times where I would go to class drunk and even practice. Half way through my college career at the University of Toledo I realized that the way I was living was not honoring God. So I decided to rededicate my life for Him. It wasn't until then that I understood what a relationship with Jesus looked like. I was faithfully in his Word reading and wanting to grow. I lived for him and not man. It was then that I gave everything to Him and trusted Him with my football career. I always looked to Jeremiah 29:11 which says "For I know the plans I have for you declares the Lord, plans to prosper you and not to harm you, plans to give you hope and a future." I have learned to trust in Him and let Him control my life and I give him all the honor glory and praise!! The KJV Holy Bible, REALTREE(r) APG HD(tm) Camo Edition features a Paperback Camouflage Cover with the new REALTREE(r) APG HD(tm) pattern. Features the words "Holy Bible" printed in orange on the cover. This Bible's compact size of 4-1/4" x 6" makes it perfect for reading in a treestand, groundblind, boat, or tent. It can easily slip into a backpack or large pants pocket. This compact Bible is a wonderful asset to outdoorsmen wanting to read the Word of God. 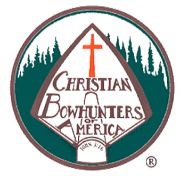 It is also great for giving and sharing with other hunters, fishermen, and outdoors enthusiasts. 4 1/4 X 6 Compact Paperback.